ON 26th July, 2013, the ‘Care For Our Wildlife’ signs went up! 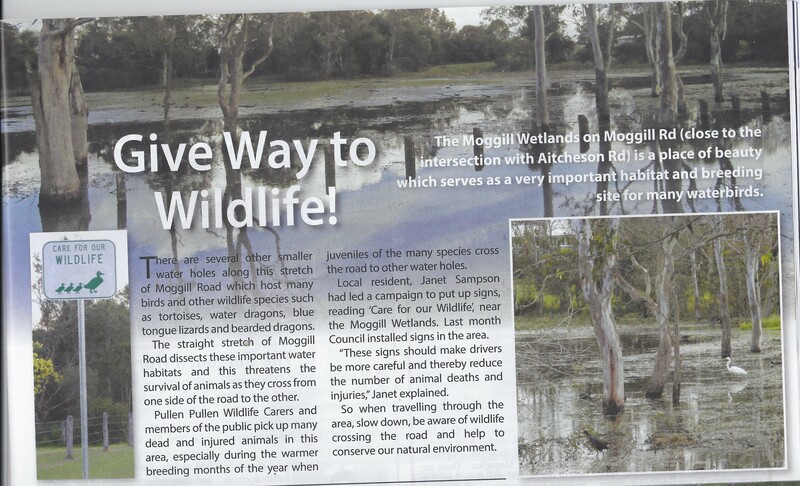 The Local Bulletin ran an article celebrating the erection of the signs and urged readers to exercise more care when driving along Moggill Rd close to the Moggill Wetlands. 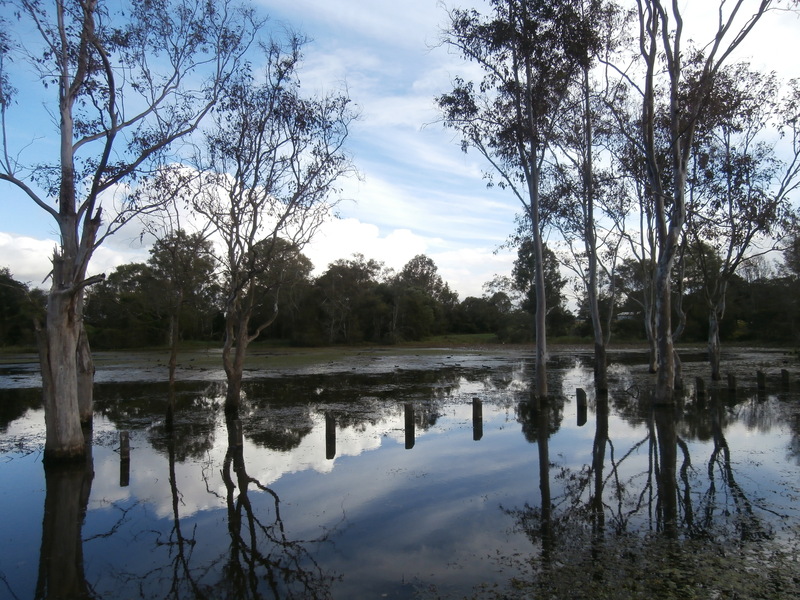 Thankyou all the residents of Moggill Pocket, all the ‘Land For Wildlife’ partners, all the Pullen Pullen Catchment Group members, all the local vets and their staff, the wildlife photographers and all the other nature lovers who signed the petition. Thankyou Councillor De Wit, Dr Bruce Flegg and the Department of Main Roads for responding so speedily to our request. 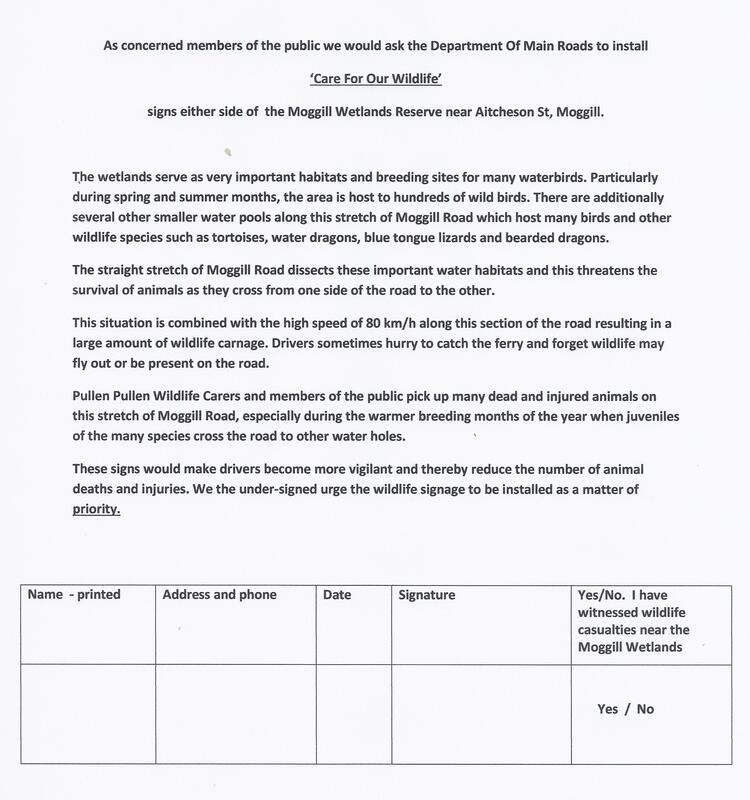 Here is the petition which gives the reasons for the request for wildlife signage to the Department of Main Roads.